Marion Scemama (photographer), Marjolaine Degremont (Act-Up Paris). 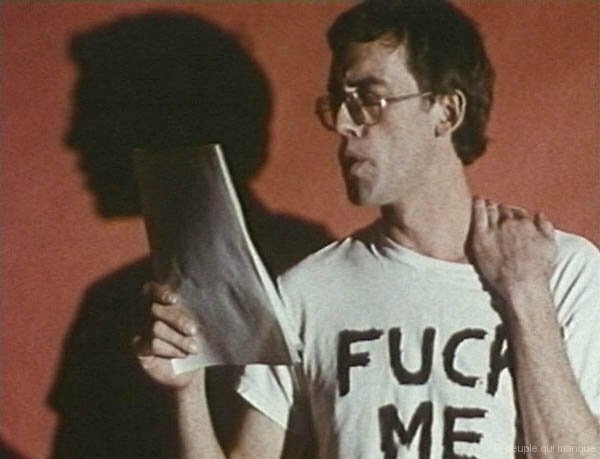 This screening is devoted to the political art produced by the New York artistic community starting from its confrontation with the AIDS at the end of the Eighties. Particularly touched by the epidemic, a generation of artists of the avant-garde new yorkaise delivered a combat against the disease and especially against its political management, during the Reagan era, by developing a singular cultural activism, transforming, by its artistic practice, the usual modes of action and resistance. 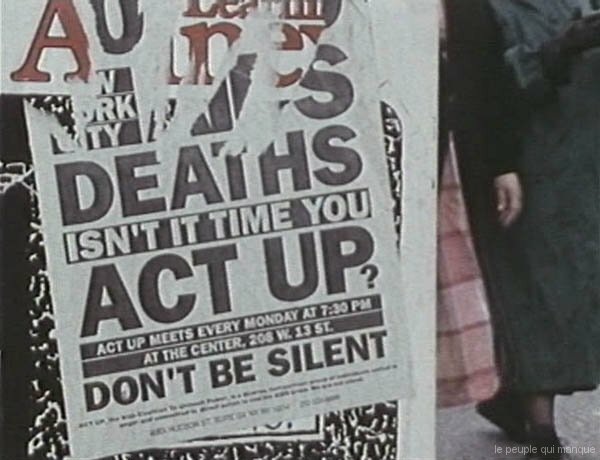 We will also return on DIVA TV, a single project of diffusion and files of the actions of Act Up New York. In its very beautiful documentary, Silence = Death, first part of a trilogy devoted to the AIDS, celebrates it German realizer Rosa von Praunheim films this generation of performers, plastics technicians, vidéastes, which illuminated the scene of the underground new yorkais the Eighties. The artist and graffitor worship Keith Haring give there an account of his public and graphic art put at the service of his fight; the blazing prose of the spoken Word (performances) of the néo-happy writer of the East Village, David Wojnarowicz, in the whole of film, as well as the presence of Allen Ginsberg and many other artists. 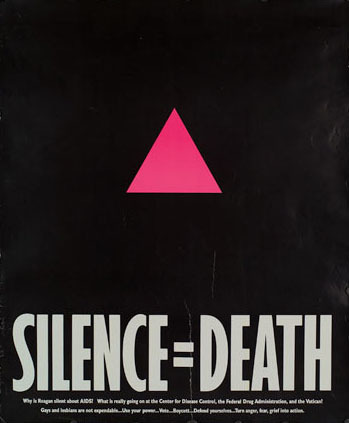 The collective of plastics technicians Gran Fury develops an experiment of cultural activism new within media space and of the world of Article. Rosa von Praunheim, writer and scenario writer worship and prolific, are a merry historical figure of the liberation movement in Germany. It carried out many films around the culture underground and queer. Act Up New York initiates a spectacular activism, using the power symbolic system of the bodies in public space. Falling under the movement of the civil disobedience but reconsidered starting from the minority policies, it constitutes the beginning of demonstrations of a new kind and a new manner of making of the policy: with the first nobody, provocante, direct and surprisingly effective and merry. 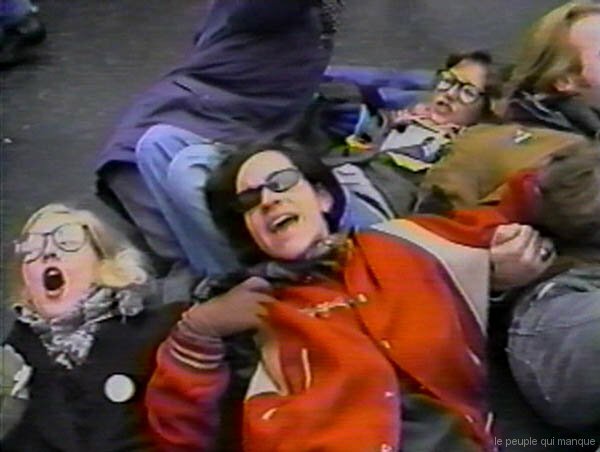 We will show Like has prayer, video produced by DIVA TV, this network of vidéastes New Yorkean pioneer founded in 1989, who filmed these actions of Act up of a very great force of interpellation, with the limit between artistic and political intervention. According to the creed of DIVA TV, the militants produced themselves their own version of an event, thus taking the control of their own history.